A new report has found parents attending religious services to be the most common ‘ethically dubious’ strategy employed by families in England to secure admission to a preferred school. 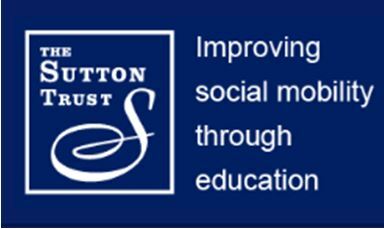 The study ‘Parent Power 2018‘ has been undertaken by the education charity The Sutton Trust. It finds that 31% of parents surveyed knew someone ‘personally’ who had attended religious services so their child could attend a popular faith school. More parents were aware of other families employing this tactic than any other to improve the chances of gaining access to a preferred school. This included tactics such as employing a private tutor to help a child pass an entrance test or moving to live in a school’s catchment area. Faith schools educate about a quarter of children at state funded schools in England, but many do not provide privileged access to those with a record of attending religious services (such as because the school is not over subscribed or instead rewards those who have been baptised). The findings suggest therefore that a significant proportion of families of pupils at schools that do reward attendance at religious services will have engaged in religious cheating. Chair of the Accord Coalition for Inclusive Education, the Reverend Stephen Terry, said ‘It is disappointing that in a scramble for school places the admission policies of religiously selective schools should so often be exploited to gain an unfair advantage. Faith schools should be bringing out the best in people, not leading them into temptation.